Australian house duo The Aston Shuffle are keeping up the momentum of their infectious new single ‘Everything I Got’ with the newest edition of ‘Only 100s’. The monthly mix series compiles the duo’s favorite tracks of the moment, and their July 2018 mix is full of dance jams and now available for fans to enjoy. The mix kicks off with two of the most hyped dance tracks of recent months, Young Romantic’s ‘Move (Time To Get Loose)’ and fellow Aussie Fisher’s ‘Losing It’. The July 2018 mix also features new music from the likes of Anna Lunoe, Danny Howard, Martin Solveig, and many others. The Aston Shuffle are dropping the mix on the eve of their return to Tomorrowland in Belgium, where they will be playing The Magician’s Potion stage alongside Claptone, Pete Tong and MK. With their new track ‘Everything I Got’ being spun by DJs like EDX, Michael Calfan, and Oliver Heldens, and a full arsenal of new tunes set for release in the coming months, the Australian natives are set to have a massive second half of 2018. 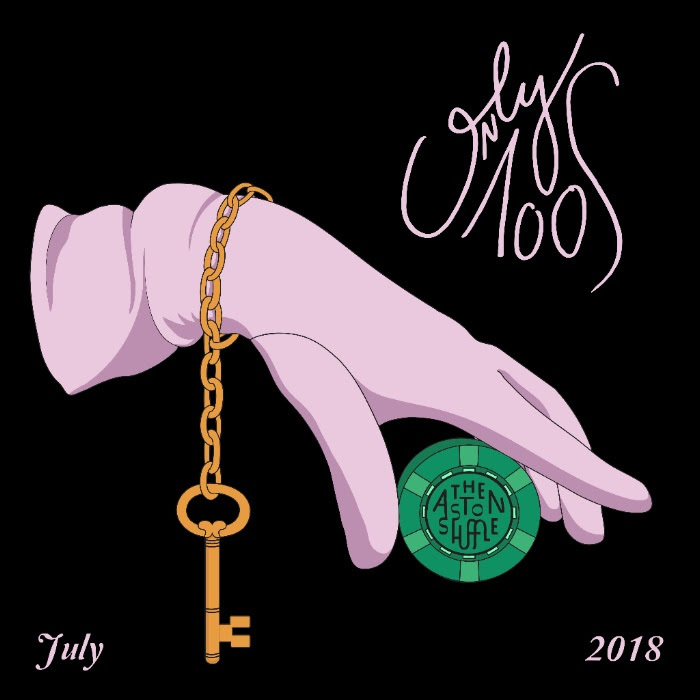 Tune into Only 100s at www.only100s.com and subscribe to receive a free download of this month’s mix and be the first to receive future editions of Only 100s.